Desi Smith/Staff Photo. 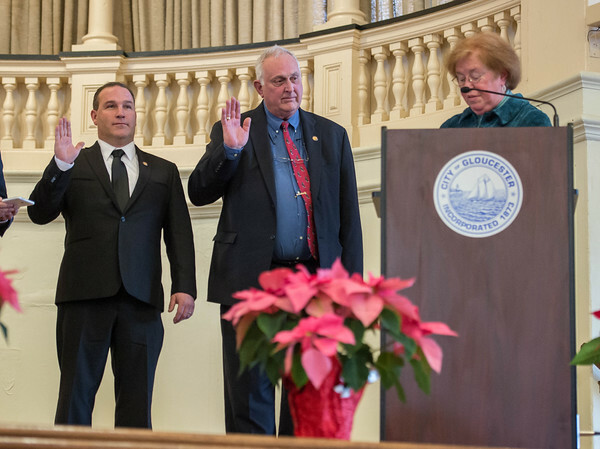 City Councilor-Elects Steve LeBlanc and Joseph Ciolino are sworn in by City Clerk Linda during the Inauguration Ceremony Friday afternoon at the Kyrouz Auditorium at City Hall. January 1,2016.